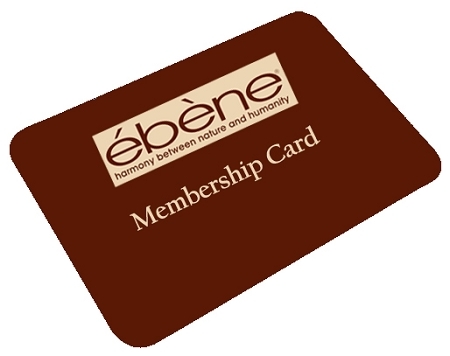 JOIN THE Ebene FAMILY AND SAVE! TAKE 25% OFF EVERY PURCHASE. GET FREE SHIPPING ON ALL PURCHASES $50 and UP. PLUS FREE SAMPLES WITH EVERY PURCHASE. *Please note that membership are offered on a yearly basis and the fee is non-refundable.